For weak, breakage prone hair that needs strengthening. 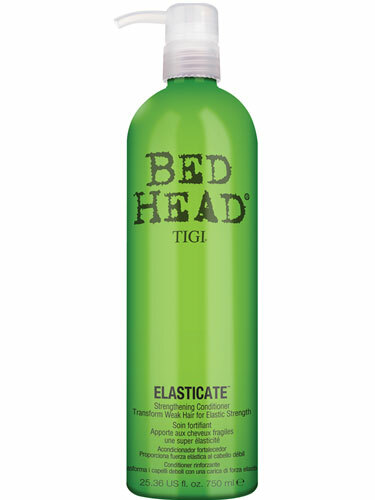 Supercharge your hair with the new Elasticate Shampoo, taking hair strength to the next level. Flex it. Stretch it. Pull it. Tug it. Give your hair the power with this breakage resistance shampoo, packed with proteins and elastin for string, flexible anti-snap hair. Hair is breakage resistant, soft and flexible. Massage conditioner into wet hair after shampooing. Rinse well and get ready to flex your shine.